Panel track drapery are a great alternative or replacement to vertical blinds. These have a little bit more of a modern look to them, and because the panels are wider, have a better look to them. Now, the way panel track drapery work is that they have a series of panels overlapped on one another. They glide over top of one another, and stack one behind the other. 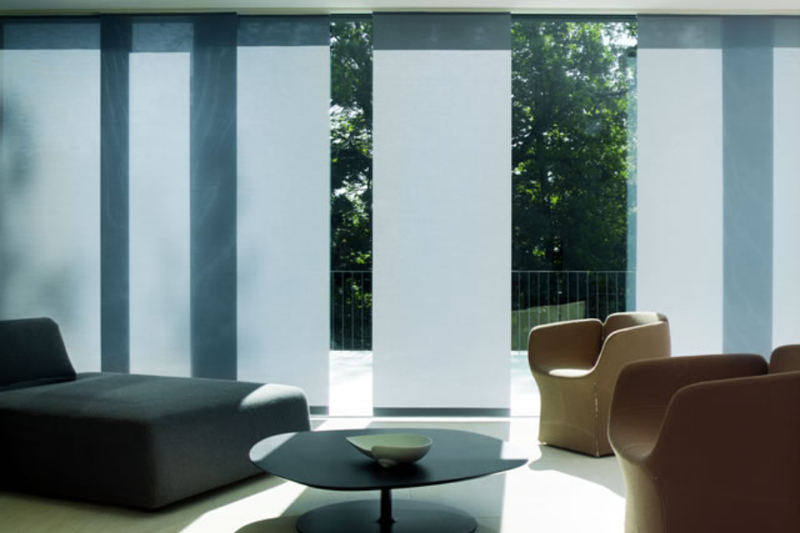 This allows you to control how much light comes in the room as well as the level of privacy. There’s a huge array of colors involved, and they come in different opacities, so you can get the fabrics you can see right through, or you can get them all the way through to room darkening to use in bedrooms. They’re a great product to put on your patio door, as they allow you to draw the product to the side, as much as you want to use the patio door, and then pull them back across when your patio door is not in use.